I talked about chillies the other day. It’s really interesting how plants evolved to spread their seeds and migrate to places. When seeds drop off near a plant, it’s bad for the mother plant because the young one starts to compete with it, for food and nutrients – not a very good thing to keep your genetic line alive. So to avoid this from happening plants adapted by putting their seeds in these sweet things called fruits. As if inviting animals and humans to pick it, eat it and throw the seed at some place far away. In case the seeds get eaten, they usually don’t get digested and still fall out with the droppings to some new place. Also to prevent seeds from going away before they were mature, as they were pumped with a chemical called tanin, unripe fruits evolved to be dry and sharp tasting. But cranberry plants thought of trying something different. 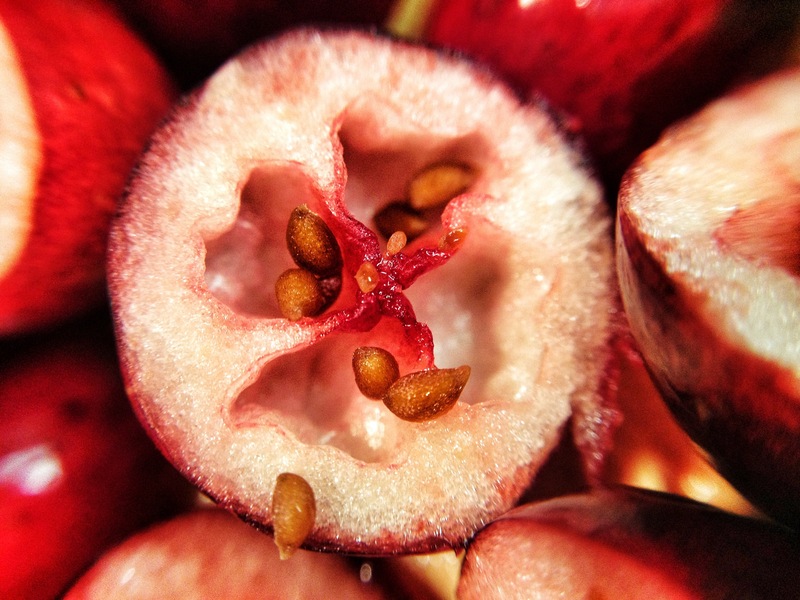 Instead of wasting precious sugar by putting them in fruits, they put in tanin into the cranberries – which is what gives that not-sweet taste to cranberries. That also meant the fuits would taste bad and animals won’t eat them (but we still do, all those years of evolution for nothing?). To get transported to places far away, cranberries got a design that featured an air pocket inside so they’d float. When the fruit becomes ripe, it drops onto the water, floats and goes to a distant place to spread the genetic line. 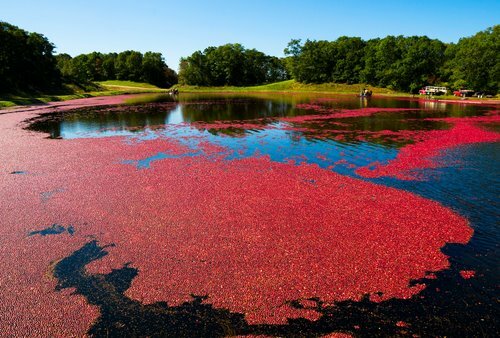 To make it worse for the evolutionary plan, cranberries floating in water makes it even easier for humans to harvest them.